Back in November 2015 we announced Licensing School ONLINE where we wanted to run proper training courses online. I say “proper” – our goal was to not just offer you presentations, but rather to run fully interactive training sessions that keep you engaged and interested, and end up being a great learning experience. We started with our SAM MCP preparation course and the feedback was spontaneously fabulous with attendees giving rave reviews. So, we’ve extended our range of courses to include “Buying and Licensing Azure Services” and an online 74-678 Exam Preparation course. Let me explain how this second one will work! If you do this course with us in-person then it’s an intensive (and fun!) full day, but we wanted a different approach for an online session. So we’ve split the content into three 2-hour sessions and we’ll be running those sessions at different times. There’s “Microsoft Products and their Licensing”, “The Microsoft Volume Licensing Programs” and “SA, Tools, and Exam Tips”. You can attend whichever sessions you want to – they all stand alone, but you’ll get a discount if you sign up for all 3, of course. The first sessions run in early February 2016 – you can find out the exact dates and times below. Costs are £55/$79 per person per session or £125/$189 for all 3 – simply use the discount code ALLMODULES when you book on the SA session and you’ll be charged just £15/$22 for this module. We’ve got further dates for the SAM MCP 70-673 Exam Preparation course too. This is a 2.5 hour session where you’ll receive a workbook to download and complete, as well as 14 days of unlimited support from the trainer via email to assist you with your exam preparation. The next dates are 21 and 22 January 2016 and it’s £65/$99 per person. Register here: http://bit.ly/70-673LSO. And our third online offering is “Buying and Licensing Azure Services” where we’ll teach you everything you need to know about how these slightly mysterious services are licensed and then acquired through the various licensing programs – all of them being slightly different of course! This is a one hour session and the next dates are at the end of January costing £25/$39 per person. Register here: http://bit.ly/AzureLSO. There will, of course, be further sessions available in the near future. If you’ve got a tricky topic you think would make a good session then email us at info@licensingschool.co.uk and we’ll add it to our list! The 74-678 Microsoft Licensing exam can be taken as an online proctored exam which means that you don’t have to wend your weary way to a test centre. If you want to check that this method of taking the exam would work for you, then this presentation from the Microsoft Learning team will probably answer all of your questions: http://bit.ly/1HMiwow. The list of countries where online proctored exams are available is extended with (among others) the UK, Denmark, France, Germany and the Netherlands joining the ranks. This means that you can take your Volume Licensing MCP exam (74-678) in the comfort of your home/office monitored by someone offsite. Find full details here: http://bit.ly/1BoRyg1. 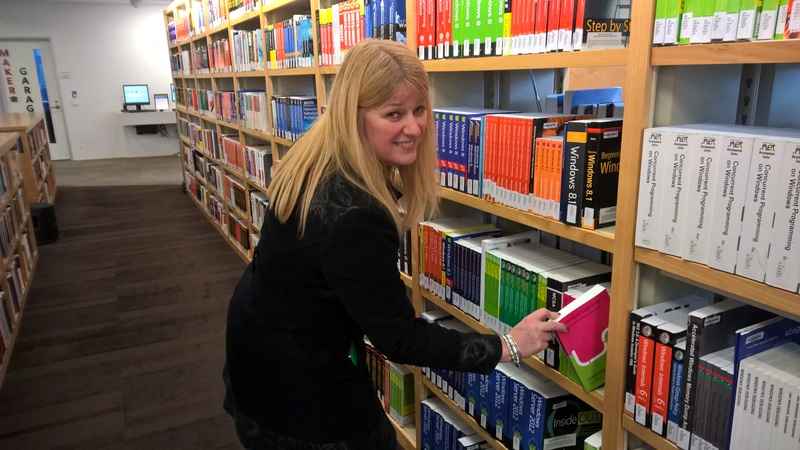 We’re extraordinarily proud to announce that our 74-678 Exam Prep book is now available in the main library in Microsoft Campus, Redmond. Half price 74-678 Sample Exam! If you’re preparing to take the 74-678 exam then our Sample Exam is a great way to do a dry-run before you invest time and money in the real thing. For the month of March we’re offering this exam at half price. Find it here with all of our other resources – https://bit.ly/74-678. There’s a new Specialist learning path on Get Licensing Ready to help you to prepare for the 74-678 exam. When you’ve worked through all of the recommended GLR modules it’s a great idea to put it all into practice and take our Sample Exam to see if you’re ready to take the real thing. RIP 70-671 and 70-672. It’s official – these Volume Licensing exams are no longer available as of 31 January 2015. The replacement is the 74-678 exam – “Designing and Providing Microsoft Volume Licensing Solutions to Large Organizations”. If you want to find out more about this new exam or access some resources to help you to prepare to pass it, then everything you need is right here: http://bit.ly/74-678. The manufacturer’s proof for the print version of our 74-678 Exam Preparation Guide has been signed off! There’s a special introductory price of £15 + P&P available for all orders placed before Sunday 15th February 2015. Delivery dates will be from 6th February 2015. 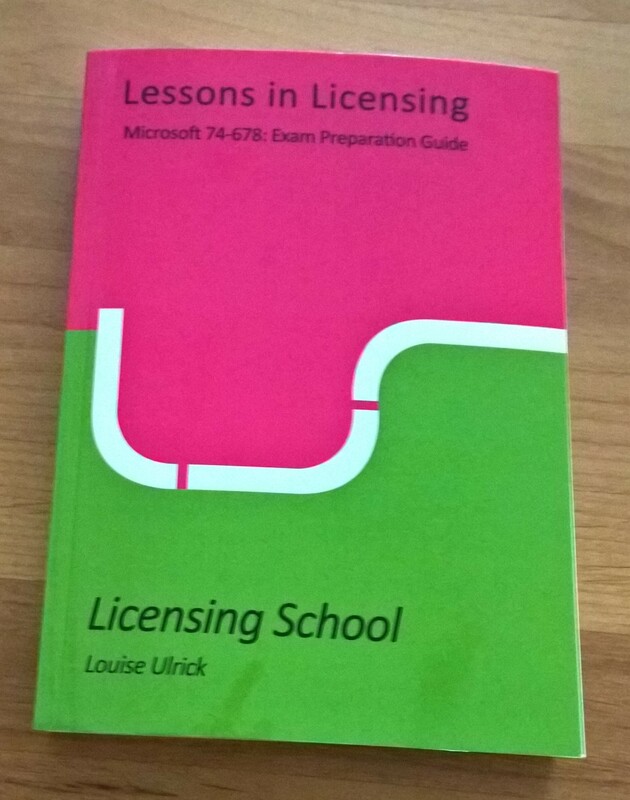 Get your copy here: http://licensingschool.co.uk/shop.